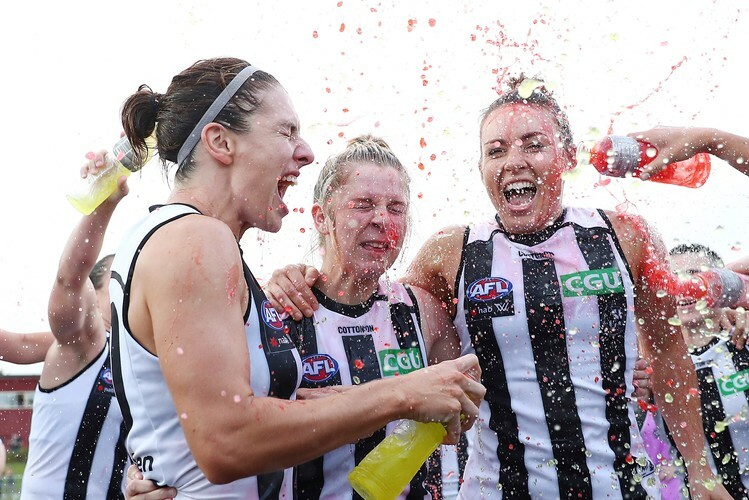 On Sunday afternoon, March 17, at Victoria Park, the Pies take on the Brisbane Lions in the 7th and final round of the 2019 NAB AFL Women’s Competition. This is a lucky home game for the Pies, who’ll be looking to end the season on a win—they beat them last year but can they do it again? Don’t miss this final chance for 2019 to experience Summer footy at Victoria Park. It’s the perfect way to spend an afternoon—getting outdoors when the weather’s great and enjoying time with family or friends. The footy is, of course, spectacular and inspiring, but there’s also the electric atmosphere of the AFLW to enjoy. There’ll be family-friendly activities, giveaways, and food and drink options—including loaded hotdogs—to make a day of it. It’s also St Patrick’s Day so going green is encouraged. Don’t miss this one. See you at the footy.